Ask any additional questions to your donors. 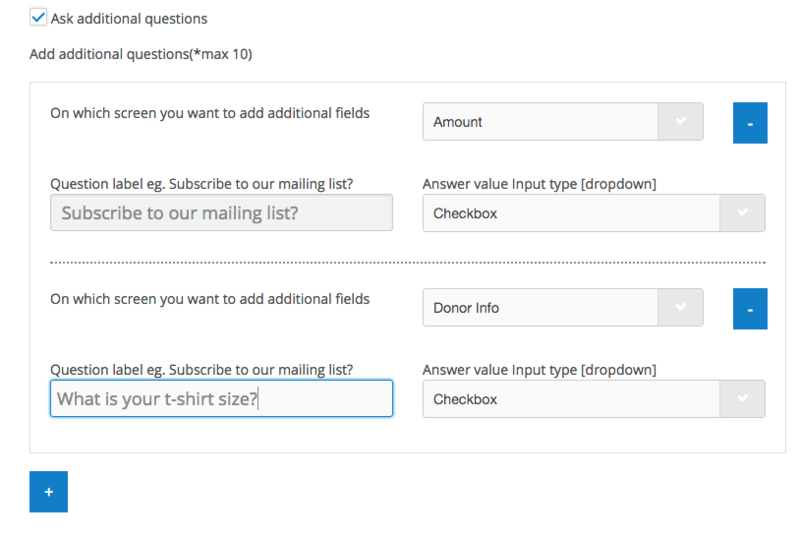 For example, you can make a checkbox that asks “Subscribe to our mailing list?” or a textbox that asks the donors for their shirt size. Customized your social media sharing. Since many organization have embedded their donation form in their website, it is best for the social media share url to be set there. The new form editor makes it possible to set the link that the Facebook, Twitter, and the LinkedIn share buttons use. Also, the form editor allows you to customize your default Twitter share message. We hope you find these feature useful. From all us at Donorbox, we wish you a wonderful holiday!